The Republic of Latvia is a developed nation located in the Baltic region of Northern Europe. It possesses a diverse high-income economy, several leading industries and a reputation as the top 23rd country in the world in terms of ease of doing business. 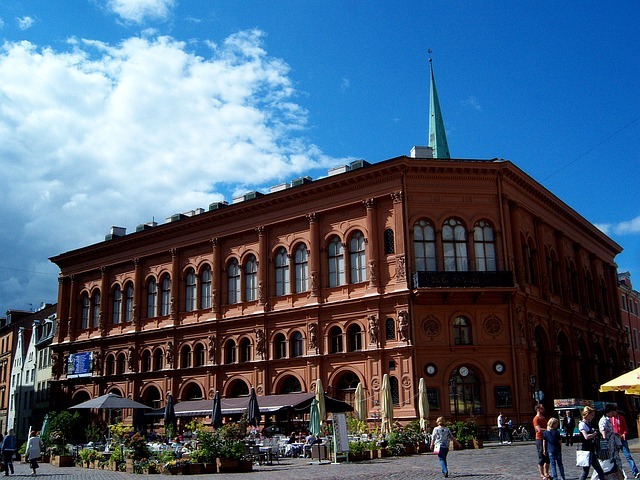 Latvia’s independence from the Soviet Union in 1991 kicked its gears towards economic success. Today, it is considered as one of the fastest growing countries in the European Union with a total Gross Domestic Product (nominal) of USD 28 billion. This nation’s powerful economy is reliant on several leading industries primarily in the export of products such as food, electronic goods and machinery. Latvia also boasts a top of the line infrastructure system and favourable tax laws that add up to the many attractive reasons why expats choose to find their pot of gold in its land. Latvia has a labour force of 1,072,368 as of 2011, according to the International Labour Organisation (ILO). Manufacturing, transports and storage, and real estate hire more than a third of all workers in the country. The main industries in the nation of 2.2 million people include automotive manufacturing, pharmaceuticals and textiles. Most employers are located in the largest cities: the capital city of Riga, Daugavpils, Liepaja, Jelgava, Jurmala, Rezekne and Ventspils. There are a number of job options for native English speakers in Latvia, where the official language is Latvian. The hiring season for English tutors in most of Europe starts after the summer holiday in September and after Christmas. Most of language teaching jobs are in private language schools, targeting college students and professionals. However, many parents are now seeking the services of English teachers for their young children. This year, the minimum wage in Latvia increased to EUR 380 per month from EUR 370 per month in 2016. Teenagers and adult workers in dangerous conditions are compensated with an hourly rate of €2.209. All workers, locals and expats, are taxed a flat rate of 24%. The average salary, on the other hand, significantly differs based on one’s job and professional as well as educational qualifications. A normal work schedule in Latvia is eight hours per day or a maximum of 40 hours per week. The normal work week is composed of five days and if the daily hours are shorter than the standard eight hours, the employee can be required to work for longer hours on another day but should not be more than one hour per day. The terms of overtime work must be included in the work contract which will serve as a written agreement between the employer and the employee. In Latvia, overtime work must strictly not exceed 144 hours within a four-month period. Generally, the potential employer assesses an applicant’s suitability for a job post. However, expats seeking employment in a regulated profession in Latvia, such as teaching and engineering, should complete the process of recognition of their education and professional qualifications. The primary purpose of this rule is “to guarantee quality and criteria of the professional activity if it is connected with protection of the public interests, public safety and protection of health”. It also aims to maintain the recognition of professional qualifications of Latvian expats. Expats employed in certain regulated professions for the first time are required to work under the supervision of a licensed specialist for a period not exceeding five years. This rule does not apply to expats whose education and professional qualifications allow permanent activity without such restrictions.